With the sultry weather coming our way this weekend, dehydration is a risk. 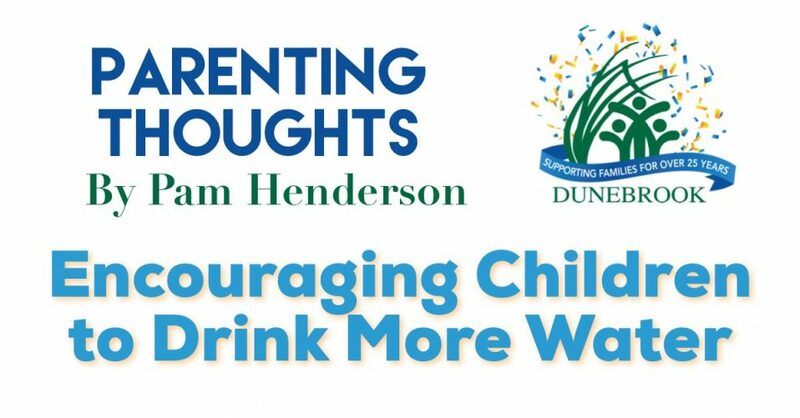 Children – and adults – get so involved in having fun that they forget to drink water. Soda, beer and energy drinks don’t count. The Mayo Clinic says, “Every cell, tissue and organ in your body needs water to work properly.” Whether you’re running a 5K or running to the restroom, water helps your body function. WebMD recommends that children and teens need about 6 to 8 cups of water a day. During play or exercise, a good goal is to drink a half cup to 2 cups of water every 15 to 20 minutes. Plain water, though, can be kind of boring, especially to a child who may not fully appreciate its health benefits. Keep in mind that some foods are chocked full of water – like watermelon, cantaloupe, celery, raspberries, pineapple and spinach – and can help you reach the ideal water goal. Sodas, juices, teas and coffees can be loaded with sugar and/or caffeine, so be sure to watch that you’re not substituting water for a less healthy alternative. WebMD notes that sports drinks have a high water content and contain carbohydrates and electrolytes, which can help you absorb water and keep your energy levels up. During intense workouts, they help to replace salt lost through sweat. But, WebMD warns that many also contain lots of extra calories, sugar, and salt. Before giving water to your infant, check with your child’s physician. You want to be sure that your infant’s appetite isn’t affected. Also, if your child has health conditions be sure to follow your physician’s advice for keeping your child hydrated in this hot, humid weather.